retain what you have learnt for a longer period of time? save costs for possible retests. have the content handy, not only for the exam! Pass your pilot's written exam efficiently! You have started your training to become a pilot, or you want to start soon? 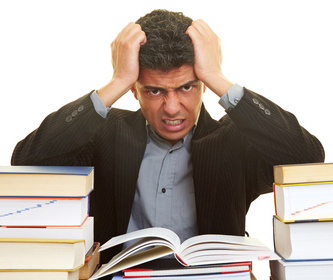 You do not know how to keep the content learnt during the full-time class or during a distance learning course? You want to pass the written theory test? You can only concentrate on one subject, even though you really should learn all subjects at the same time? You do not know how to collate all the details? You have the feeling that you are not ready for test yet? You are exactly right here! The ATPL Coaching Portal assist you during your written exam preparation for the flight licenses and ratings JAR ATPL, CPL, or IR. You are specifically preparing for the exam and its contents without memorizing each question. In a short time, you will get an overview of your knowledge and your areas of necessary development. Manageable units include short exams within a given timeframe besides preparation and wrap-up. In this way, you not only learn how to deal with the exam stress, but also expand your knowledge without displacing already learnt content. Find out why ATPL-Coaching can help you! Never miss any expiration date! Let the offer convice you! You can object to your application within 2 weeks and try out the service for free.